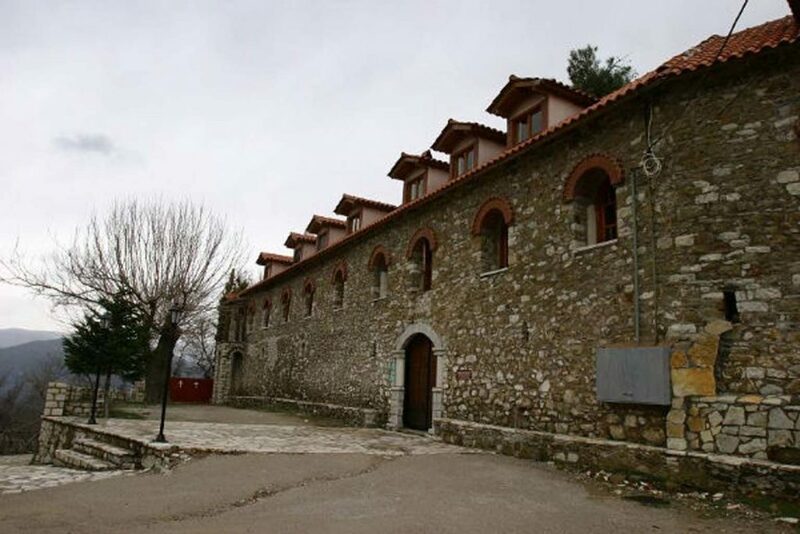 It is one of the most important monasteries of Central Greece, Holy Mary Varnakova which stands on the top of the hill Vardoussia, in the southwestern side of Phocis, since 1047. Here, the flag of the Revolution of 1821 has raised, three days after Agia Lavra and marked the start of the war at Roumeli. Among the relics that are housed in the monastery, there is the icon of the Virgin Varnakova, dating since the creation of the church. According to the tradition, the apparent crack along the face conducting the icon was created by a local earthquake that is occurred on 15th of August 1940, the time of the torpedoing of “Ellis” in Tinos. 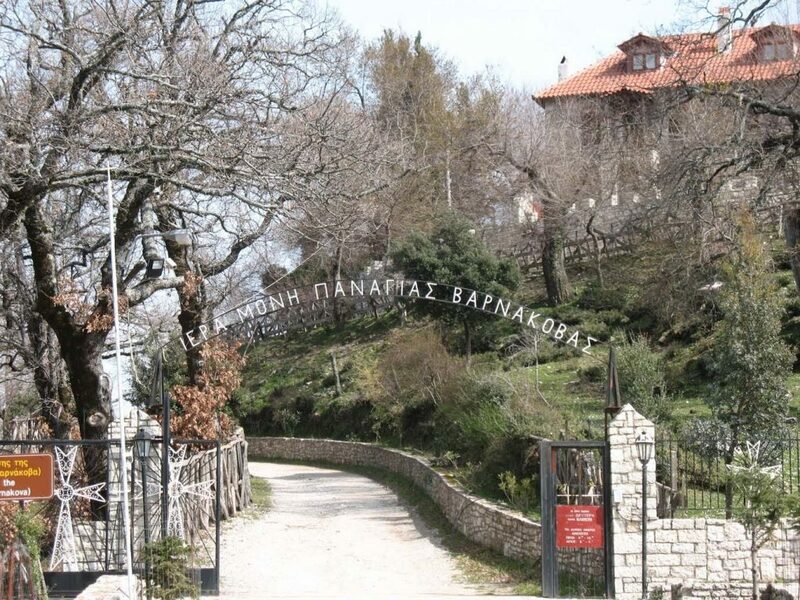 The monk Agios Arsenios from Varnakova was the founder of the monastery of Virgin Varnakova, while later the monastery came under the protection of the Dynasty of Komninon: at least two Komninoi Emperors, Alexius and Emmanuel, have been buried in the limits of the monastery, while previously they have become monk. Then the Virgin Varnakova has been receiver of the favor by the Dynasty of Palaiologos, until the years of Ottoman occupation. At that time, it was often the reason of disagreements among the Turks and the Venetians, who held the neighboring Nafpaktos, while it was destroyed and burnt down several times. During the Greek Revolution and its preparation, the Virgin Varnakova was the base and refuge for many fighters. In 1826, shortly after the Exit of Messolonghi, 4,000 Turks under Kioutachis besieged it. The monks fought alongside the heroic fighters of ’21 and before the Turks blow up them, they attempt an exit. On 26th of May 1826, the Virgin Varnakova has exploded and destroyed. A few years later, in 1831, with personal supervision of Ioannis Kapodistrias, the monastery was rebuilt and functions again. The monastery of Virgin Varnakova operated continuously since then, until 1984 that has desolated. In the 1990s, women nuns come here and give life to the historical monastery, which today counts nearly 1,000 years old.